John Daly hurls club into water. Daly was cruising along nicely during the second round of the PGA Championship, that was until he reached the par-3 seventh hole. His wayward tee shot found its way into nearby Lake Michigan, he then proceeded to drop a ball and once again the result was the same. A third ball was dropped and again it splashed into the water. 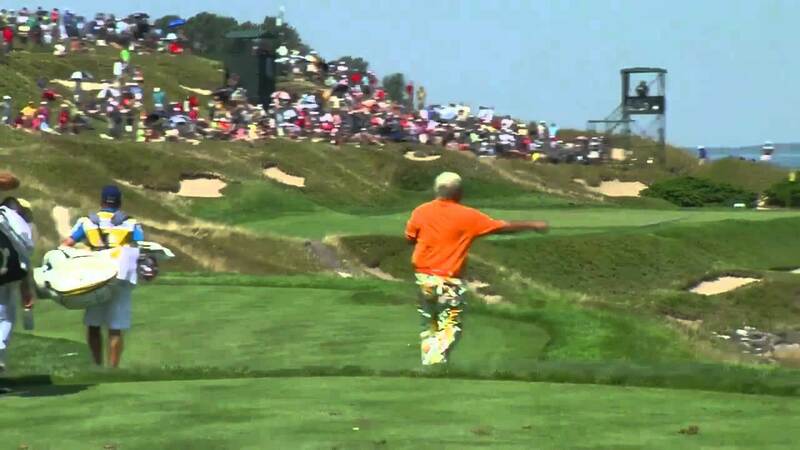 Finally, Daly was forced to aim well left of the green to avoid the embarrassment of another penalty. Clearly frustrated and shaken-up by his poor play, Daly then proceeded to hurl his club into the water. The iron was retrieved soon after by a young man in a passing boat.